Mueller Water Products is daylighting a smarter hydrant which not only provides life-saving fire protection but detects leaks in the water distribution system and monitors pressure 24 hours a day, 7 days a week. 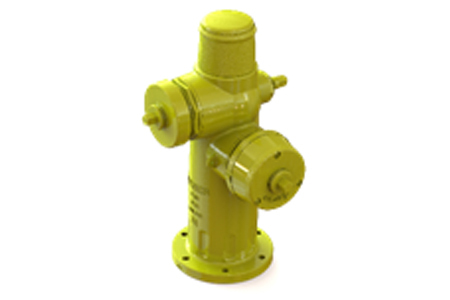 The Jones® J-4038 and J-3038 wet barrel fire hydrants can be equipped with a Hydro-Guard® pressure monitoring sensor installed in the dome top and an Echologics® leak detection node as the nozzle cap. Utilities are now able to use existing hydrant assets as a hub for communication and technology deployment. Not only can new Jones hydrants be purchased with these smarter features, but any existing wet barrel fire hydrant with a dome top can be converted to detect pressure and leaks in the distribution system. For more information, stop by WEFTEC Booth #6225, visit www.joneswaterproducts.com or contact your Mueller sales representative.